The British Institute, Boats, And One Beautiful Bridge. 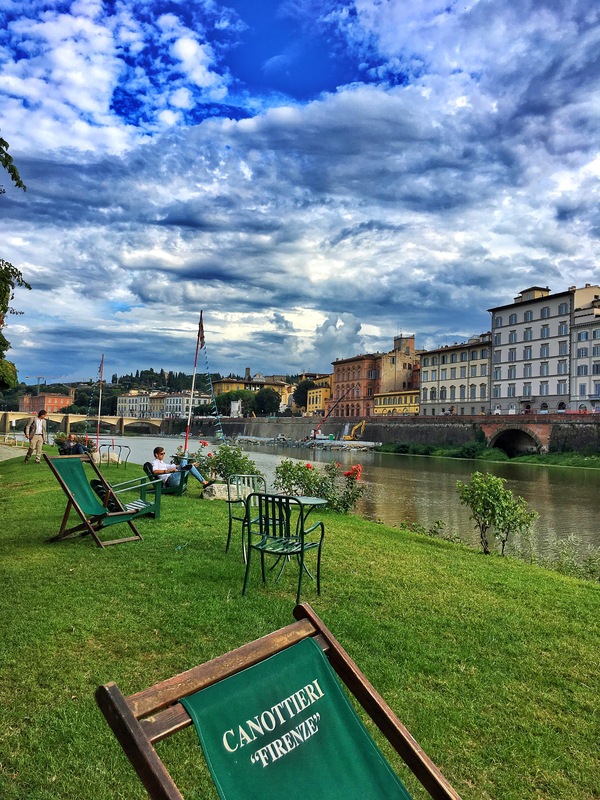 | In Florence. A Firenze. The British Institute, Boats, And One Beautiful Bridge. It’s probably really obvious I just wanted to get some alliteration into this title. There’s nothing better when a sentence rolls off the tongue. Alliteration aside (see what I did there), these three things nicely sum up my evening last Tuesday. 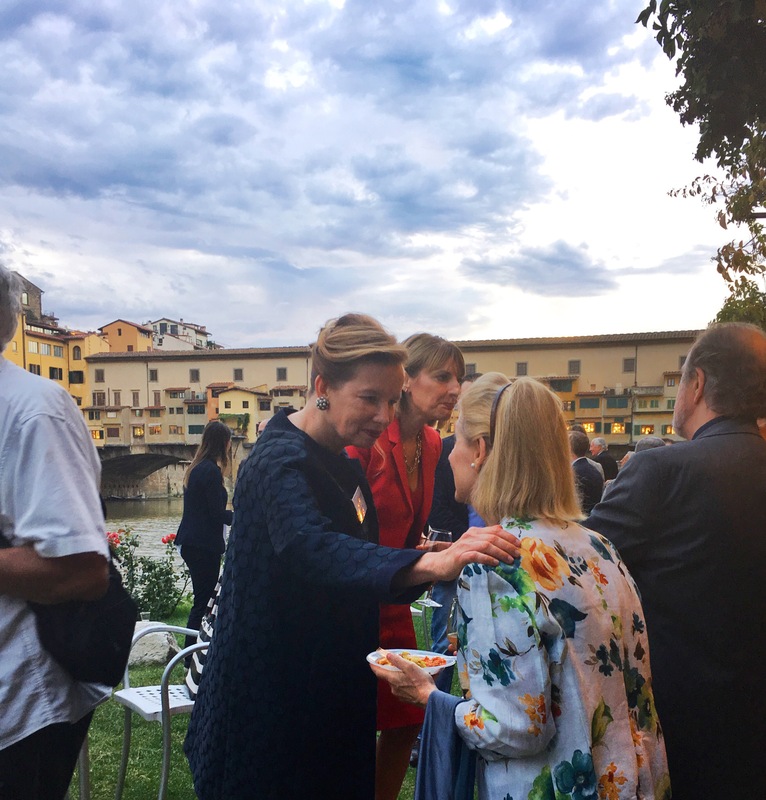 The British Institute of Florence was starting off the countdown to their centenary anniversary (in 2017), at Società Canottieri Firenze. As their intern, I was lucky to get to go along. The setting of the rowing club is not half bad. 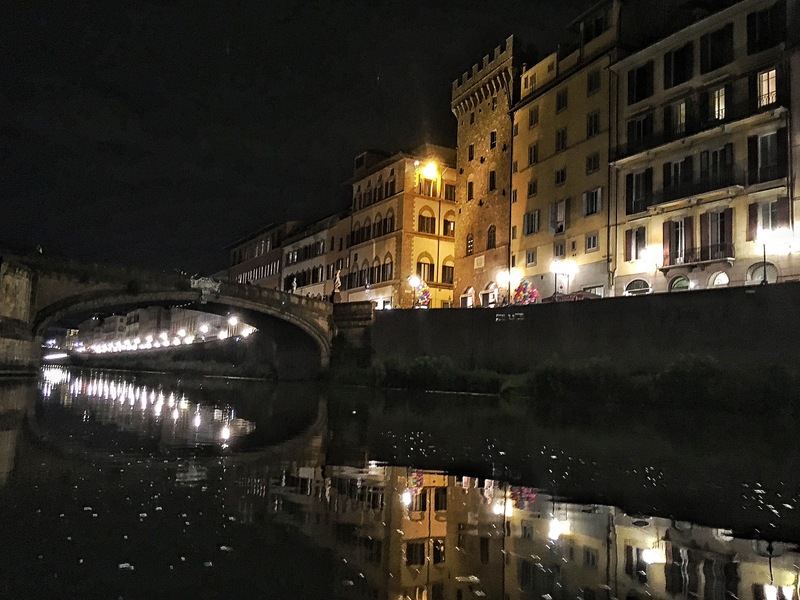 It sits just below the Uffizi gallery, and a little ways down from the Ponte Vecchio. The day before the event it rained buckets, but somehow we had clear skies and a magical sunset – perfect photo weather! Seriously, this has got to be the most photogenic city ever. 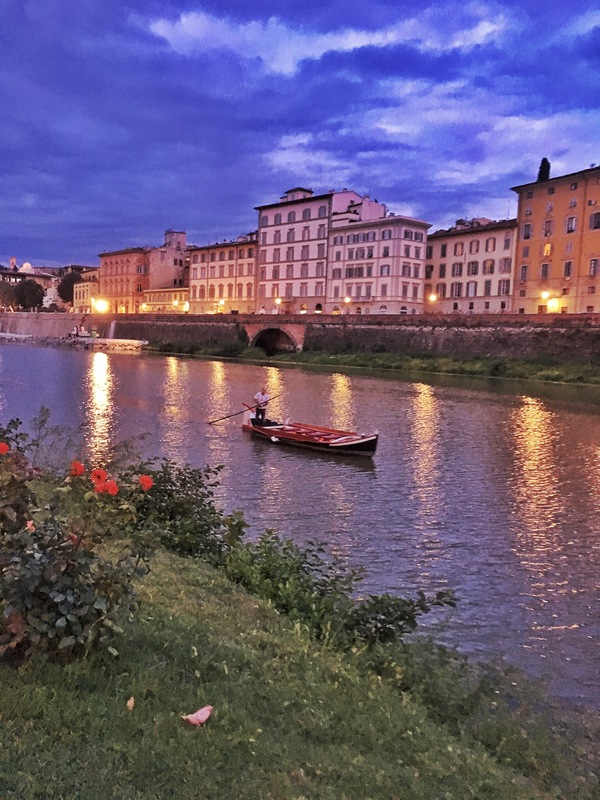 After the sun had set, I hopped in one of the boats B.I.F had organised, and floated down the Arno, under the Ponte Vecchio and then back. With us we had a tour guide, who I assume was fantastic given the reactions of the others in the boat; I couldn’t tell as it was all in Italian. Seeing the city from this angle only made me love it more. It constantly surprises me.